With the sunshine and the warmer weather up here in Northwestern Montana, we’ve been trying to soak up the sunshine that seemed to have disappear for months. A trip to Glacier National Park was in order. 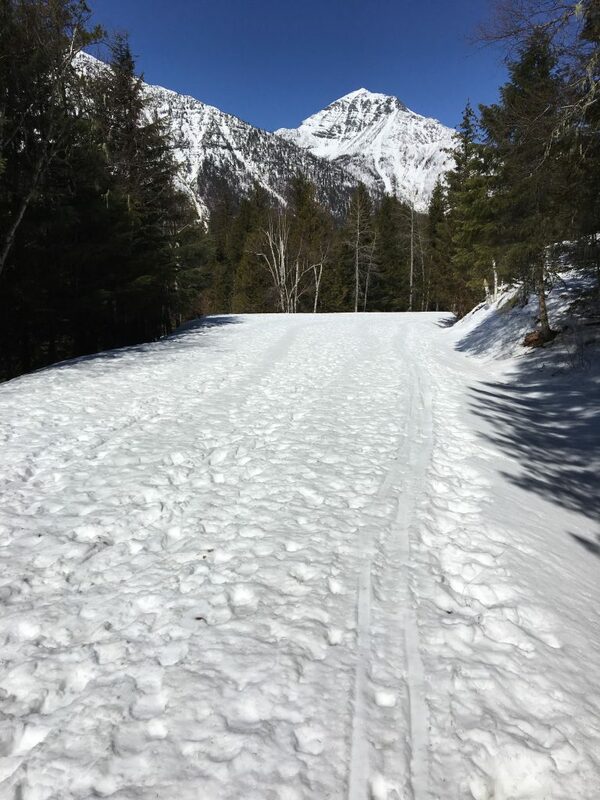 The plan was to ski Going-to-the-Sun Road over to the ranger station at the head of the lake. We were gone when it got the coldest and Lake McDonald froze completely. I wasn’t prepared for the lake to be still a solid sheet of ice. 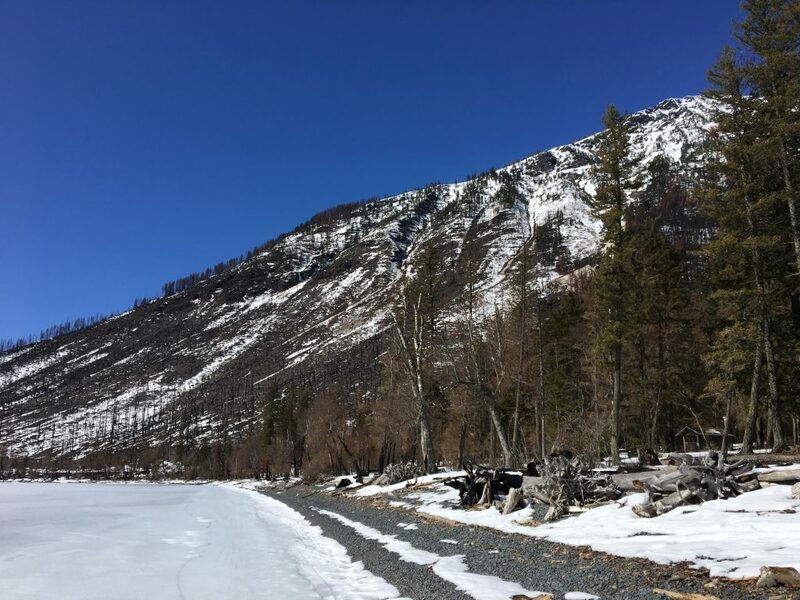 As we drove over to Lake McDonald Lodge, we stopped along the way to admire the work that winter had done. While winter still holds an icy grip over the park, spring is forcing its way. Birds are migrating in, willow buds are starting to open, and the snow is slowly disappearing. We skied up the road which was a bit icy from melting during the day/freezing at night. After taking the North Shore Road over to the ranger station, I was reminded of last year’s fire. The forest goes from the lush green to the red needles from last year’s intense burn along Howe Ridge. 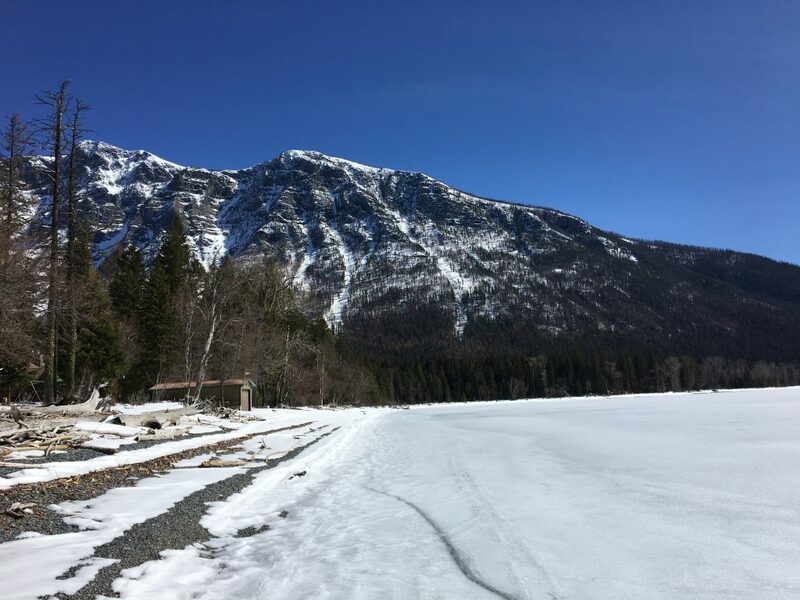 The trail to Trout Lake will most likely be closed as they begin repairs and upgrades to the area. It’s always jarring to see the remains from a fire, but it’s also fun to watch the regeneration. After we made it to the ranger station, we dropped down to the shores of the lake and skied on the ice back to the lake’s inlet and worked our way up onto the bridge and back. The ice was still thick enough to easily support us, but it was evident that it wouldn’t be that way for long. Plows will start soon and we’ll trade skis for bikes, then bikes for cars. Rumor has it that, with some resurfacing scheduled, Going-to-the-Sun Road won’t open before June 22nd… but it will open and summer will come. Bring on the sunshine, I’m excited for dry trails! Can’t wait to get back out there. Coming June 4 for 10 days. Good to know your still out there. It looks like the Kinsellas will be hiking Banff this summer instead of Glacier. And suggestions (not too long- I’m not getting any younger). Hi, Jake — Great write up and pictures. Tks. My wife and I plan to hike from Logan Pass to Goat Haunt in early September (did that same hike in Aug 1969). Looking forward to it! Thanks for the update, Jake. We’ll be heading up north/west (just outside the park) in mid-April. Not sure what we’ll find but no matter what it’ll be beautiful. And of course longer days mean more play-time! Also, I’m really looking forward to your Olympic NP map coming soon! Great pictures. I’m always leary of other people’s hiking recommendations, but I have to admit you’re spot on regarding all the National Parks you’ve done so far. Keep up the great work! Hope this link helps but if not explore the official National Parks Service websites. You have until 8:AM PDT to see someone standing on the ice at McDonald. The picture changes every hour. 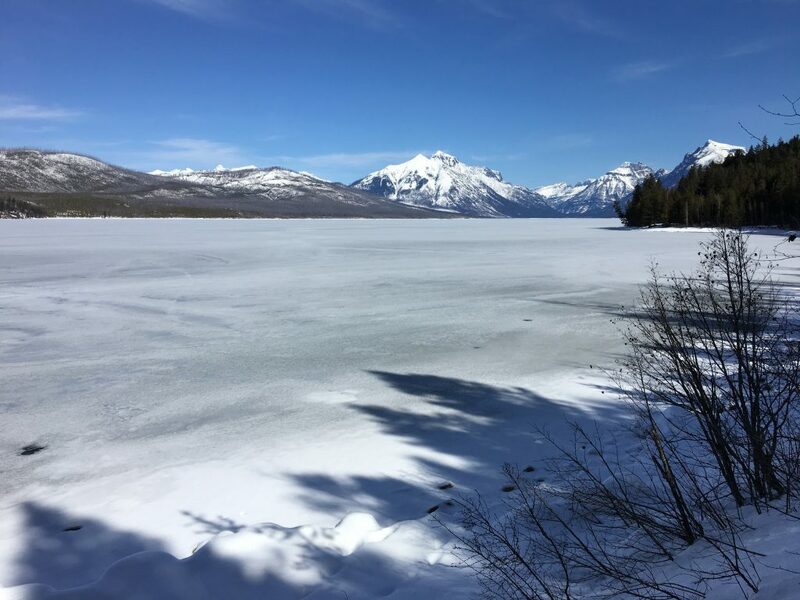 See you this summer in GNP.